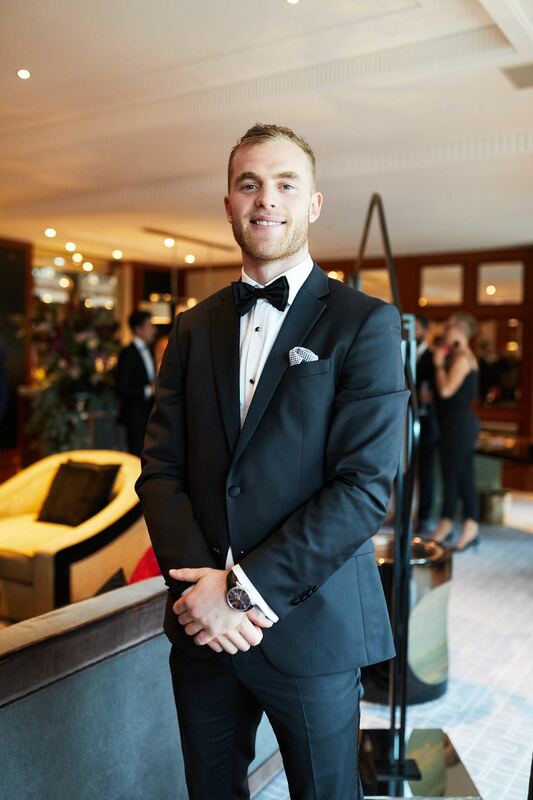 Tom Mitchell’s eating overhaul has played a significant role in his 2018 Brownlow Medal win. The Hawthorn Football Club midfielder took out the top spot at last night’s Brownlow Medal count, trumping Collingwood’s Steele Sidebottom by four votes. Mitchell broke the AFL record for total possessions in a home and away season with 787, which included a huge 50 against Collingwood in round nine. During his Brownlow acceptance speech, Mitchell credited his girlfriend Hannah Davis for the move away from treats and a daily $80 spend on Uber Eats. “In summary, my diet wasn’t too flash. Pre-game routine consisted of a box of Barbecue Shapes and Kit Kats. I am on a strict salmon diet,” he said. Like Mitchell, many athletes eat salmon to fuel their bodies. Champion cyclist Richie Porte is no stranger to a high omega-3 diet and says that Huon Salmon is a staple of his pre-event diet. “When I’m training for major events like the Tour De France, everything that I put into my body in the lead up is carefully calculated,” he said. Champion Australian cyclist Richie Porte is #FuelledByHuonSalmon. Salmon is one of only 14 known ‘superfoods’. This status is a result of salmon containing large amounts of Omega-3 fatty acids and being low in saturated fat and calories yet high in protein. Whether you’re a professional athlete or exercise newcomer, a high salmon diet will set you on the right path. Just ask Mitchell and Porte. If you want to fuel your body with Huon Salmon, or just want to pick up some tasty gourmet treats, shop online and have our products delivered direct to your door anywhere in Australia: shop.huonaqua.com.au. 1. Mr Roy Palmer, Eat more seafood to reduce mental health problems – says international expert, media release, Seafood Services Australia, Friday 12 October 2007, quoting Patrik Andlin-Sobocki, Bengt Jnsson, Hans-Ulrich Wittchen and Jes Olesen in a research paper entitled ‘Costs of Disorders of the Brain in Europe’ published in the European Journal of Neurology, Volume 12 (supplement 1), June 2005.